Graffham Consulting Ltd is a leading UK training provider in Safeguarding and Child Protection, development and HR company providing services to many of the top schools and colleges in the UK, Europe and Asia, in the independent, academy and maintained sectors. 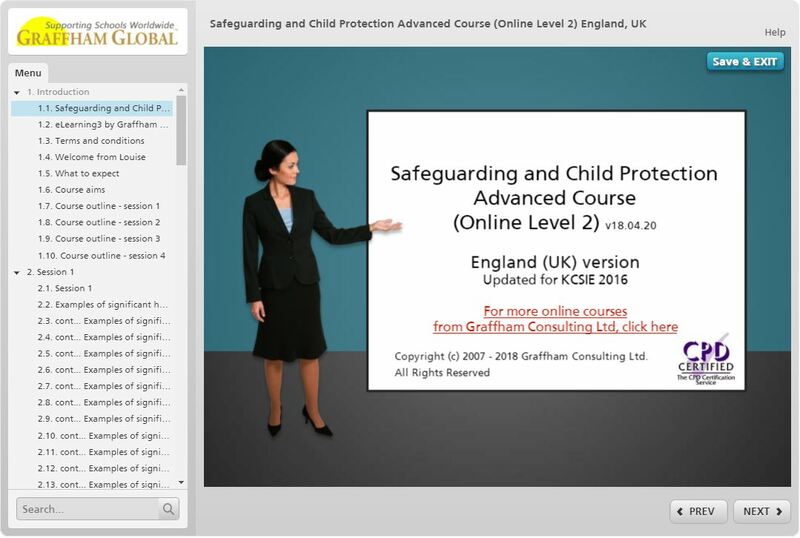 Our Safeguarding and Child Protection Courses carry the CPD-Certified Quality Mark and can be taken face to face, online or via Skype. We also offer a wide range of courses in leadership and management, compliance and soft skills. As well as schools and colleges, we support organisations across a number of sectors including Early Years, charity, youth work, healthcare, social care, hospitality, facilities management and professional services. Our HR consultancy also works with clients in diverse sectors and specialisms. We specialise in staff professional development and compliance for schools, colleges (academies, maintained and independent), and other private, public and voluntary sector organisations. Face to Face and online courses include Safeguarding and Child Protection Levels 1,2 & 3, safer recruitment, Equality and Diversity, e-safety, anti-bullying, classroom management, finance for managers and appraisal skills. With courses accredited through CPD, we pride ourselves on our commitment to continual improvement and development, both of our people and our course materials. Get in touch to find out how we can support your school through supporting your staff in their development. We have provided excellence in training and development to UK and international schools and colleges since 2004. Our aim is to deliver the very best in learning and development opportunities. We help you to equip your staff to achieve excellence in their practice and to be inspired to continue their personal learning journey. Our schools training team includes: senior teachers, governors, Multi Academy Trust members and youth workers. Other trainers are specialists in charity work, religious organisations Human Resources and leadership and management. at our training venue - come to us for Safeguarding and Child Protection for Designated Safeguarding Leads (Level 3) training and Safer Recruitment training. "The training day totally met my expectations, all the sessions were excellent and were definitely useful. The trainer was great, very knowledgeable. The refreshments were great and the course was value for money." "The trainer was brilliant, I learnt everything I needed to know. I found the day interesting, informative, and very enjoyable. The course surpassed my expectations; I learnt to be more aware and thorough, and to know my responsibilities. The course was definitely value for money." "The trainer was excellent, great communication, knowledge, and explained every detail. The sessions included a lot of useful explanations of issues and topics. The course very much met my expectations, very much value for money." "The trainer and all sessions were excellent. My expectations have been met and the course was value for money. I learnt plenty about Child Protection." "Excellent Trainer. I really did get a lot out of this"
"The trainer was excellent and the sessions were very good and useful. From this Child Protection course, I learnt what to do next." "I learnt lots! All sessions were excellent. The venue and refreshments were wonderful and the trainer was informative and knowledgeable." "The trainer was excellent, I can't wait to do level 2. All the sessions were useful and I learnt more about Child Protection issues and how to deal with them. The course was value for money." "Excellent trainer, clear and precise. The sessions were extremely helpful and thorough. From the Child Protection course I learnt about the change in legislation, the procedures we need to go through, our roles, how to recognise signs and the process of reporting." Graffham Consulting Ltd work alongside fostering agencies and organisations to deliver quality training to foster carers. Call 01992 787242 to find out what we can offer your organisation. Come to us, or we can come to you for your next in-house or school INSET day. Choose a course level above for more information and dates. Give us a call on 01992 787242 or email andyd@graffhamconsulting.com to see how we can help you with your next school INSET. 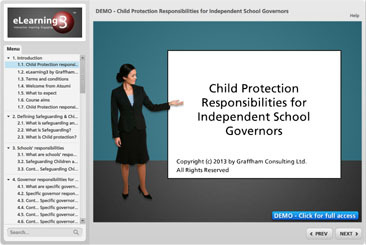 How can we access your child protection courses? Are your Child Protection Courses CPD Certified?